Home / Blog / Can the power of cultural mythology help give pangolins more than the ghost of a chance? In the struggle against the extermination of species at the hands of illegal trade and human exploitation, no potential weapon or tactic should be beneath initial consideration. As well as coherent and effective transnational law enforcement, it’s also vital to change the attitudes of potential poachers and consumers, to seek to instil respect and esteem in place of demand and greed. So it was pleasing to read this summer of Zimbabwean chiefs seeking to utilise age-old myths and beliefs about pangolins to help change mindsets and give this shy, unique and increasingly persecuted creature a chance at a future. Frankly, the pangolin needs all the help it can get. 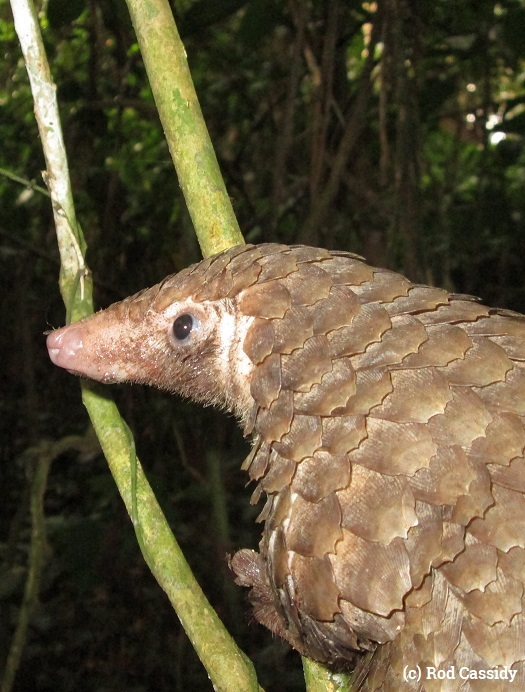 From virtual obscurity just a few years ago, the pangolin has soared to the top of one of the worst charts on the planet – it’s now at number one in the list of most-trafficked mammals. Meanwhile, from India to Nigeria, established wildlife traders have taken advantage of favourable profit margins and perceived lower risk to traffic pangolins into international markets. In Asia, enforcement agencies are all too frequently intercepting huge shipments of pangolins scales coming from West Africa. Such crass, industrial-scale exploitation hasn’t always been the pangolin’s lot; to the human cultures which have long existed alongside them, they were more often seen as a creature wrapped in enigma and regarded at times with something akin to awe. Zimbabwe’s initiative draws on this old relationship, seeking to encourage people to stop regarding the scaly anteater as a potential commodity and instead reconnect with it at a far deeper level. In some areas of Zimbabwe, pangolins are regarded as both very rare and a symbol of good luck, while killing one invites bad luck and is regarded as a taboo act. Even the pangolin’s scientific categorisation suggests its strangeness in human eyes – the genus name Manis is derived from the Latin ‘manes’, meaning ‘ghost’ or ‘spirit of the dead’ in acknowledgement of both their secretive, nocturnal habits and unusual scaled appearance (they’re the only scaled mammal on the planet). 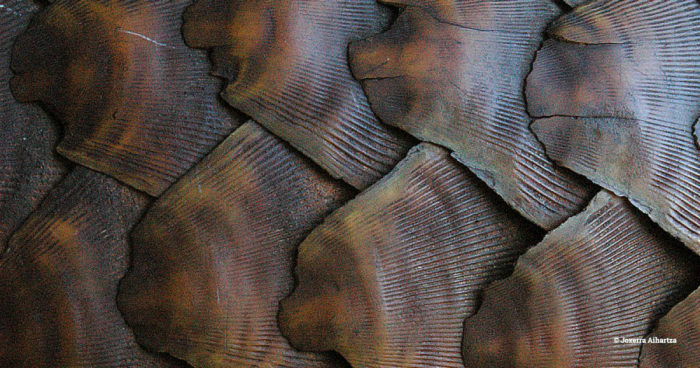 The pangolin’s mythical associations in Africa extend beyond Zimbabwe. 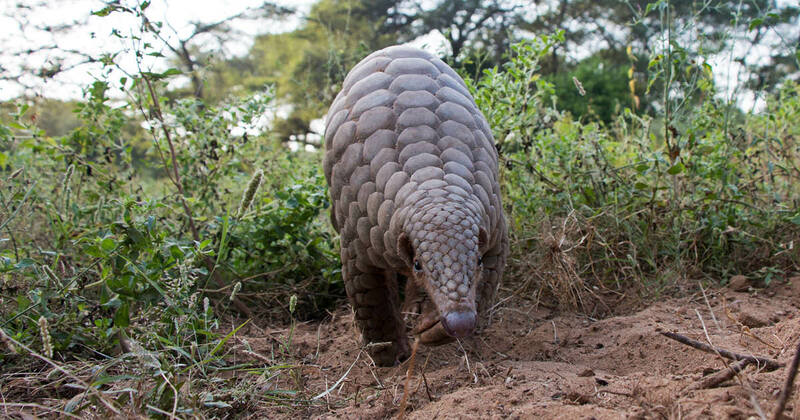 Social anthropologist Martin Walsh has written of how pangolins in Tanzania hold a special place in Sangu cosmology, or at least in the beliefs of some Sangu. He records that it was believed pangolins fell to Earth from the sky, sent by the spirits of the Sangus’ ancestors. Further, it was believed each newly arrived pangolin latches on to an individual human and follows them home, at which the point the individual is required to report the event to their chief’s ritual specialist. The person ‘chosen’ by the pangolin is then treated as though he or she were the parent of new-born twins, itself an event regarded as abnormal and requiring special ritual treatment. As parents of twins are secluded at home to undergo a series of rites, so too must the person and the pangolin be confined at home and participate in rituals, reportedly involving singing and dancing with other community members. Walsh adds that the songs sung are said to be the same as used for twin-birth rituals and that the pangolin joins in the dancing; some pangolins are reported to shed tears profusely while dancing and this is interpreted as an omen of good rains in the coming year. Dry eyes signify drought. Perhaps the pangolin’s oddity among creatures reflects back at us our own singularity in the animal kingdom and stirs us to look for commonality. In their publication A Communion of Subjects: Animals in Religion, Science, and Ethics, Paul Waldau and ‎Kimberley Patton cite Allen Roberts as writing: “… it is strangely ‘human’. The pangolin has a single baby, walks upright and shows ‘dignity’ when attacked, almost as though it were turning the other cheek. “Some Africans make the pangolin the central emblem of healing people who have been unable to bear children. 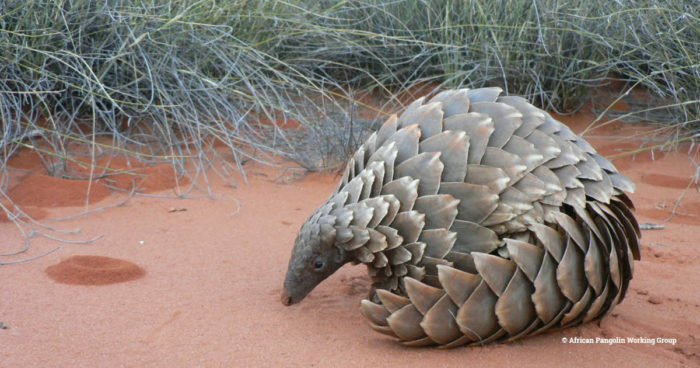 The pangolin is so odd that its existence seems almost impossible. But it does exist. If a pangolin can really exist, perhaps anything is possible! But we shouldn’t need to retreat into the magical thinking of bygone ages in order to find cause to revere the humble, bizarre and wonderful pangolin – there’s nothing else like it, anywhere, and for that reason alone we should redouble our efforts to eradicate the illegal trade that leaves its future so perilous. And if we humans, so often the self-proclaimed caretakers of the planet, can give back to the pangolin the future we’ve so recklessly almost stolen, then perhaps it could again become a symbol of hope of what we might achieve for the many other magnificent, unique creatures threatened by our thoughtless sprawl, consumption and greed.